Zaccari is a smiley four-year-old boy who loves all sports, toy cars, and laughing with his big brother. No one would ever guess that he had been critically ill for most of his young life until a kidney transplant saved him — and gave him a chance to just be a kid. Born with a rare kidney disease called congenital nephrotic syndrome, Zaccari went into complete kidney failure before his first birthday. 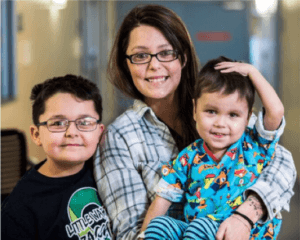 Over the next three years, Zaccari’s healthcare needs required countless visits to the hospital, multiple surgeries and an intense dialysis routine three times a week at a specialty dialysis center more than two hours away. A kidney transplant was his only hope. Zaccari was three-and-a-half, when he and his family received the news that a matching kidney had been donated. The transplant surgery was a success, and Zaccari began showing improvement almost immediately. Today, instead of spending his life attached to a machine, Zaccari is busy playing, dancing and doing lots of cuddling. 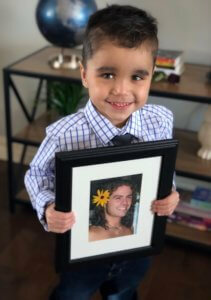 His parents are eternally grateful to Zaccari’s donor for making that possible, and they actively promote the importance of donation whenever they can.